In keeping with The Body Shop’s ethos of “Enrich, not Exploit”, all ingredients are 100% vegetarian, paraben-free, and have been sourced whilst being fully compliant to ethical trade guidelines. 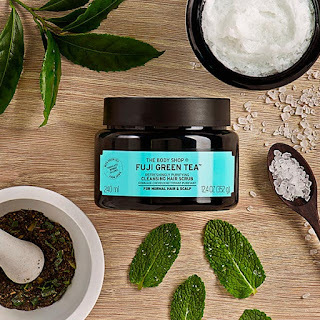 The Green Tea leaves utilized in the hair scrub have been sourced from the foothills of Mount Fuji and have been carefully handpicked from the Shizuoka region of Japan, thus ensuring the usage of nothing but the best. The Body Shop’s time tested hair care favorites are also available in Sri Lanka. 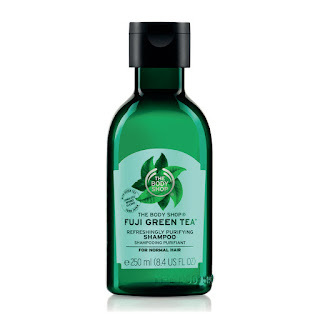 The iconic Ginger Anti Dandruff Shampoo clears loose flakes and soothes the scalp. The Body Shop bestseller is made with a blend of Sri Lanka’s own ginger combined with birch bark, white willow extracts, and Community Trade honey.